Like brand new 5BD, 2BA home on one of the kind large, sunny, private lot, nestled on a quiet cul-de-sac.Fully fenced large backyard includes garden beds,green house, nice covered outdoor living area, & lots of space for entertaining. Double gate for easy access with boat, RV.etc. Master bed on the main floor.Easy care laminate flooring throughout the house, granite counter tops. Plenty of windows flood the home with light. Wired for generator, special LED outdoor lighting, storage & a lot MORE Directions: I-5 North to exit 263, turn Right on Portal Way, turn Right on Trigg., turn Right on Portal Manor Dr. Straight to Portal Commons Place, house is at the end of the street in the cul-de-sac on the R.
Please, send me more information on this property: MLS# 1430041 – $399,000 – 6423 Portal Common Place, Ferndale, WA 98248. 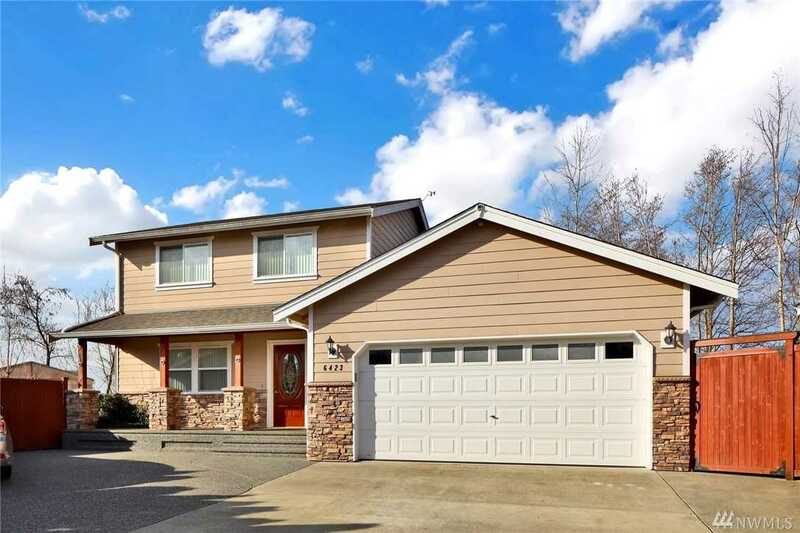 I would like to schedule a private showing for this property: MLS# 1430041 – $399,000 – 6423 Portal Common Place, Ferndale, WA 98248.